Mathew (boo) Hintz’s passion for all things motorcycles runs deep. Hintz has been working at Juneau Avenue with Harley-Davidson for twenty years and for the past seventeen, Hintz has generously shared his passion with the Muscular Dystrophy Association (MDA). 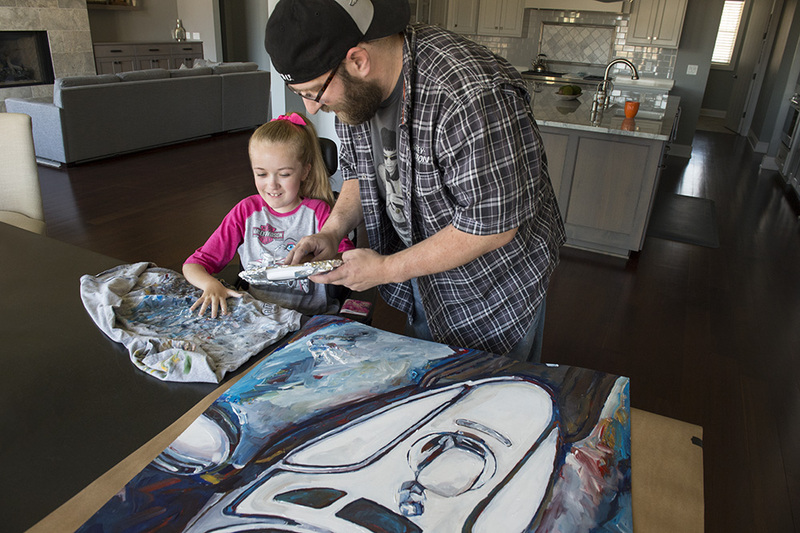 As a father of four, he enjoys using his works to help support MDA and the families they serve. Since 1999, Hintz has designed the MDA pins for Harley-Davidson and T-shirt graphics for supporting rides like the Tomahawk Fall Ride. In 2013, in honor of Harley-Davidson’s 110th Anniversary, Hintz collaborated with Regan Imhoff, the 2014/2015 MDA National Goodwill Ambassador, on an original painting which raised over $10,000 for MDA. 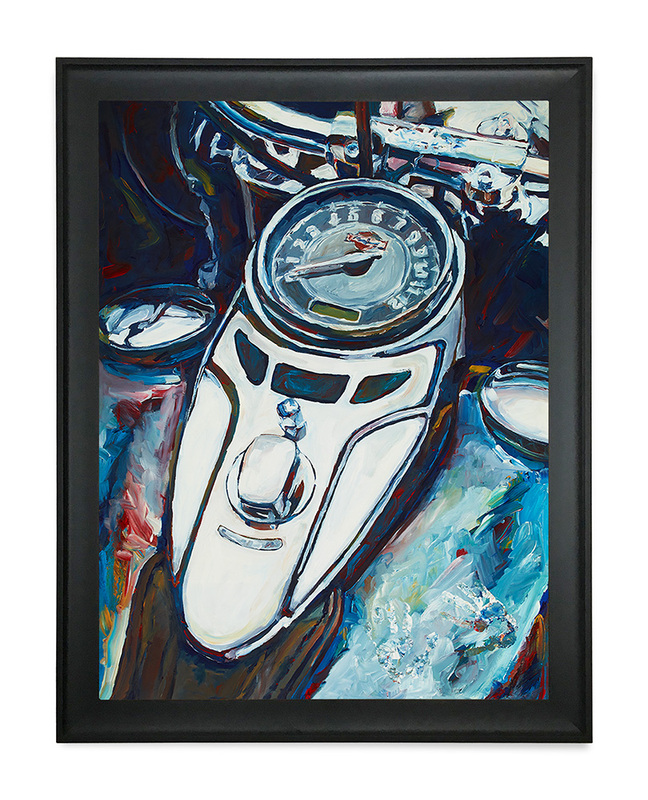 As a licensed Harley-Davidson artist, Hintz has donated artwork and a percentage of his sales to MDA. This year, Hintz’s passion and talent continues to support MDA with donated art for the Ride For Life and Black-N-Blue Ball. Mathew (boo) Hintz wears Muscular Dystrophy’s heart on his sleeve. In contributing to the Harley-Davidson legend, Hintz allows the motorcycle’s stories and styling details to be his core inspirations. His artistic talent, passion and drive come to life through the impressionistic portraits of iconic Harley-Davidson motorcycles. In his paintings, Hintz is known to sculpt the canvas’s surface, building the image layer upon layer in heavy brush strokes, coming to life laden with acrylic paint. As we all know, motorcycle enthusiasts have a unique passion for their bikes and the cultures that foster them. Hintz shares that passion, specializing in custom, commissioned motorcycle portraits, paintings, limited edition prints and posters. 2016 MDA Black n Blue Ball artwork.